Dala Powder Tempera Metallic Colour is a quality, non toxic, powder paint that is great for classroom, studio and home environments. Available in classic Gold and Silver. 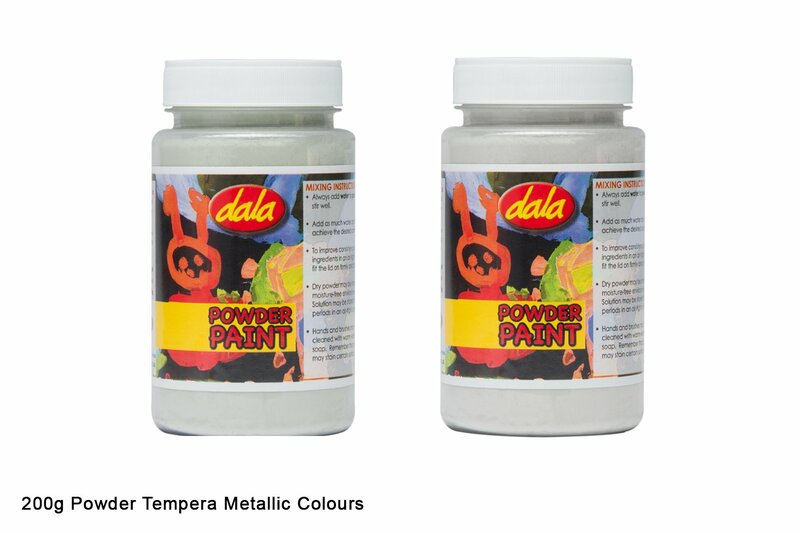 Dala Powder Tempera Metallic colour is a versatile product that can be used creatively by all artists, young and old. It all depends on what you mix it into. Mix it with water for the perfect kids paint by making a paste of 1 part powder paint to one part water and then diluting as desired. Handy tip: Add some Dala Powder Glue as well to enhance the adhesion of the paint as well as improve the consistency of the paint! Mix it with Dala Gel Medium or Dala glass Glaze for interesting and experimental results. This item has 971 views.